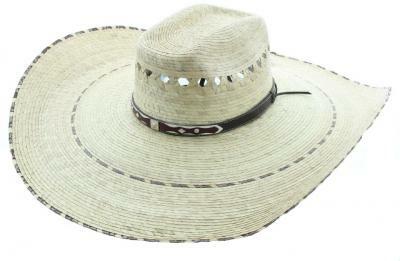 sSOM-4 - Gus style better quality palm leaf sombrero with chin cord. 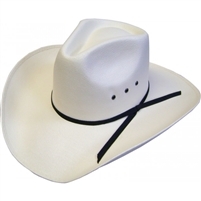 5.5" brim. Bands vary. One size only (about a Large). Made in Mexico. Note on shipping: It is very large. Due to USPS & UPS DIMENSIONAL weight surcharges, a store ordering a dozen likely will pay about $1.25 each in shipping charges. Anyone ordering one piece will likely may pay $13 (local) but more likely $30-35 in UPS charges. The post office charges about double.